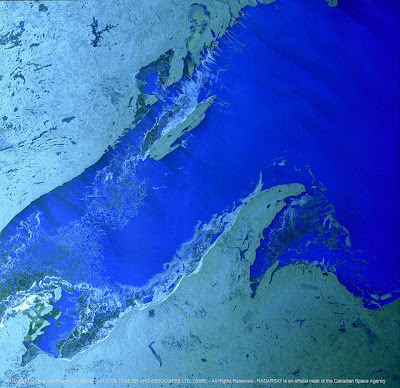 As outlined in this blog many times (but stated most succinctly in my February 27th 2011 blog post "Two Billion Dollars for the Canadian Space Agency Part 2: What Our Federal Government Thinks! "), the Canadian government considers the Canadian Space Agency (CSA) to be a small part of the larger subset of research and development agencies to which it already allocates several billion dollars each year. 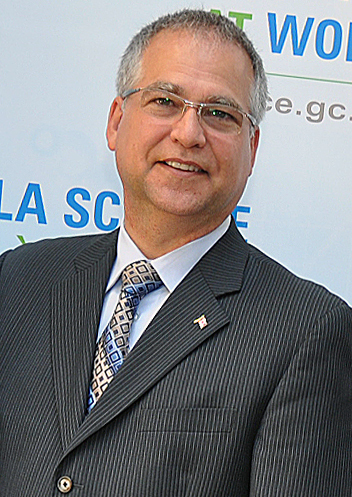 Minister of State for S&T Gary Goodyear. These agencies are each governed by the current Industry Canada science & technology strategy as outlined in documents like the Mobilizing Science and Technology to Canada's Advantage (May 2007) and the Mobilizing Science and Technology to Canada's Advantage Progress Report (June 2009) which focus primarily on supporting business innovation. This current system isn't well respected by Canadian space systems companies as outlined in my March 2nd, 2011 Spaceref.ca article "Top Space Focused Companies Critical of Federal Research and Development Funding." But now, according to the October 17th, 2011 press release on the Review of Federal Support to Research and Development website, a comprehensive review of federal programs that support business innovation has called for "a simplified and more focused approach to the $5 billion worth of R&D funding provided by the federal government every year" and formally presented this report to the Minister of State for Science and Technology, Gary Goodyear. The creation of an Industrial Research and Innovation Council (IRIC) to deliver the federal government's business innovation programs. According to the report, "there are currently more than 60 programs across 17 different government departments. 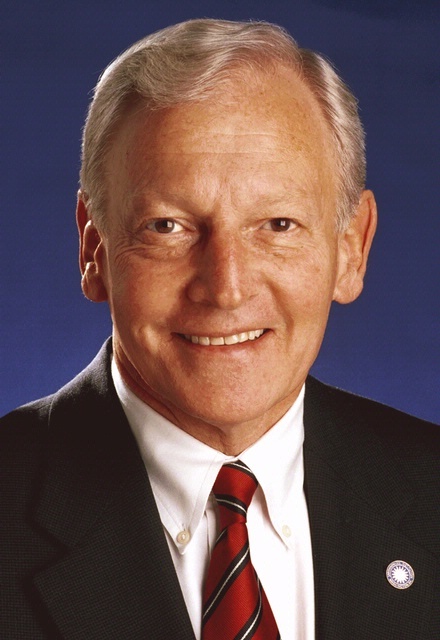 The creation of an arm's-length funding and delivery agency – the Industrial Research and Innovation Council – would begin to streamline the process as the development of a common application portal and service to help businesses find the right programs for their needs." Make "business innovation" one of the core objectives of this new organization. Transform the National Research Council (NRC) into a series of large-scale, collaborative centres involving business, universities and the provinces. According to the report "the NRC can play a unique role, linking its large-scale, long-term research activity with the academic and business communities. The panel recommends evolving NRC institutes, consistent with the current strategic direction, into not-for-profit centres run with stakeholders, and incorporating its public policy research into other departments." Simplify of the tax credit system used to support small and medium-sized businesses. According to the report "the current Scientific Research and Experimental Development (SR&ED) program is unnecessarily complicated." Assist high-growth innovative firms to access the risk capital they need through the Business Development Bank of Canada (BDC). According to the report "innovative Canadian companies face real challenges in getting start-up funding and late stage risk capital financing. In many cases, the gap is filled by foreign investors, which means that too many commercial benefits and intellectual property end up leaving the country. Directing the BDC to work with angel investor groups and develop late-stage risk capital/growth equity funds will pay dividends." Establish a clear federal voice for innovation and work with the provinces to improve coordination. According to the report "The Prime Minister should assign responsibility for innovation to a single minister, supported by a whole-of-government Innovation Advisory Committee, evolved from the current Science Technology and Innovation Council (STIC), composed of external stakeholders, who would then work with the provincial and territorial governments to initiate a collaborative dialogue to improve coordination and impact." The full report, titled "Innovation Canada: A Call to Action – Expert Panel Report" is available on the Review of Federal Support to Research and Development website. Assuming that the Federal government response to this report is positive, it looks like the Canadian space systems industry is finally going to end up having research and development concerns addressed. Two breaking stories are only the most recent reminders of the internationally confusing geopolitical nature of current Canadian space activities. This situation complicates Canadian space policy and drives up procurement costs for Canadian satellites. 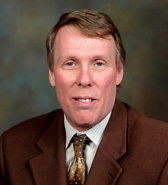 For example, the October 16th 2011 Canadian Press story "Did Canada punish Russia for 2008 Georgia invasion by moving satellite" quotes Dr. James Fergusson, the Director of the Centre for Defence and Security Studies at the University of Manitoba on his assessment of a recently leaked US diplomatic cable from Ottawa. According to Fergusson, the Oct. 6th, 2008 cable (classified as secret, but released publicly by the Wikileaks website on August 11th 2011 under the headline: "Canada considering space launch alternatives due to Russia's invasion of Georgia") indicates that "Canada attempted to sanction Russia for its 2008 invasion of Georgia by switching to India for the launch of SAPPHIRE, this country's first military satellite." 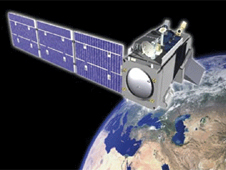 The Surveillance of Space (SAPPHIRE) satellite project, the Canadian contribution to the United States Space Surveillance Network (SSN), was originally expected to be placed into orbit using a Russian spacecraft "in late 2009 or early 2010" but the cable indicated that this would not occur "due to the Russian invasion of Georgia." 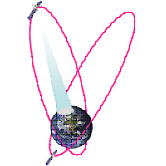 The Indian Polar Satellite Lunch Vehicle (PSLV). 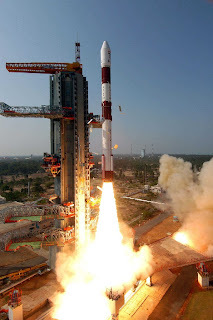 The cable also asked if the US, "intends to broaden its bilateral safeguards to permit satellite launches from India." The Americans must have been OK with that since, according to the March 29th, 2011 SpaceRef.ca article "MDA to Provide Operations and Maintenance Support for DND Sapphire Satellite System," the SAPPHIRE satellite is now scheduled for launch sometime after the second quarter of 2012 aboard the Indian Space Research Organization (ISRO) Polar Satellite Launch Vehicle (PSLV). While the stretching out of the launch schedule is certainly going to increase overall project costs, the most interesting part of this story is that the "bilateral safeguards" instituted by the US allowed for the launch of Canadian military satellites in Russia but not India in 2008. So Canada needed to ask for permission. Of course, this isn't the first time that Wikileaks cables have mentioned the Canadian government and it's confusing international connections. My May 16th, 2011 post "Wikileaks, Defense, Awards, Astronauts, Announcements, Museums and Politics" discussed secret US embassy cables released by Wikileaks which "show nations are racing to "carve up" Arctic resources, oil, gas and even rubies, as the ice retreats" but also indicated that the US government doesn't take Arctic sovereignty pronouncements by the Canadian Federal government seriously. This begins to make more sense when you consider that Canada seems to essentially require US permission to launch military satellites. It's quite likely that bilateral agreements are also in place to limit and restrict Canadian sovereignty activities in other areas. Which brings us to our second, breaking story. According to the October 14th, 2011 Ottawa Citizen post "Thales Wins RADARSAT Contract" the European based Thales Alenia Space Group (Thales) has just won a series of "major contracts worth more than 7 million Euros" to supply S-Band data communications systems for at least two future optical reconnaissance (CSO) satellites for the French Armed Forces and their European partners (as part of the French contribution to the Multinational Space-based Imaging System constellation) and for the three RADARSAT Earth observation satellites scheduled to be constructed as part of the RADARSAT Constellation program by the Canadian Space Agency (CSA)." S-Band data communications systems were originally developed for the Apollo program by NASA and operate in the S band portion of the microwave spectrum. According to Wikipedia, the S band "is used by weather radar, surface ship radar, and some communications satellites, especially those used by NASA to communicate with the Space Shuttle and the International Space Station." ... signed agreements with the companies Astrium SAS (a subsidiary of the European based Aeronautic Defence and Space Company N.V. or EADS) and Bristol Aerospace (the Winnipeg based subsidiary of Magellan Aerospace) to start the development, manufacture and supply of a total of 10 equipments, (four for the two CSO satellites and six for the three RADARSAT satellites), plus 2 optional equipment for the third possible CSO satellite. The Telemetry, Tracking and Command (TTC) data communications equipment to be supplied are the latest generation technology developed by the Spanish company (the Espana division of Thales), with application in Earth observation and science missions, telecommunications and space vehicles; they are currently in operation on board the CryoSat satellite for European Space Agency (ESA) and Aquarius SAC / D satellite for the Argentina Space Agency (CONAE) and NASA. Oddly enough, as outlined in my October 10th, 2011 post "SAR Satellite Designers Living in Interesting Times" a different EADS division (the UK based Surrey Satellite Technology or SSTL) has just announced it's intent to "build, insure and launch" the next generation of SAR satellites (of which RADARSAT is an example) for less than 50M euros each, which is less than half the cost overall for most existing SAR satellites. The SSTL proposal is 1/3 of the present estimated cost of the Canadian designed and build RADARSAT's so it will be interesting to see if RADARSAT prime contractor MacDonald Dettwiler (MDA) is able to shop around for the best price on other components through alternative suppliers like SSTL or if the just announced Thales contract includes a clause that restricts this. How's that for confusing and complicated? Representatives at BC based MacDonald Dettwiler (MDA), presently under contract with the Canadian Space Agency (CSA) to construct the next generation RADARSAT Constellation series of three synthetic aperture radar (SAR) satellites (with an estimated total cost of $600M CDN), have so far turned down a request to comment on the October 3rd, 2011 BBC News article "Surrey to start making radar satellites." The article focuses on UK based Surrey Satellite Technology (SSTL) and it's intent to "build, insure and launch" the next generation of SAR satellites for less than 50M euros each. The SSTL proposal is 1/3 of the estimated cost of the Canadian designed and build RADARSAT's. However, the article provided few details of the new SSTL design or capabilities and included no listing of potential clients or information on how the project would be funded. SSTL's decision is fascinating because radar satellites have traditionally been big, power-hungry beasts. It takes a lot of energy to generate the pulses and then to process the echo returns. The problem for SSTL has been in devising a package that is relatively small and inexpensive - the company's trademarks. According to Gnomes, "we've addressed this by using new technology - new types of amplifier from commercial terrestrial applications in telecommunications." SSTL , a spin-off company of the University of Surrey, rose to prominence by building and operating small, inexpensive micro-satellites utilizing low cost manufacturing methodologies. These methodologies are today the basis for ongoing satellite design and development activities at the University of Toronto Institute for Aerospace Studies (UTIAS) Space Flight Laboratory (SFL) and other organizations around the world. SSTL is presently a subsidiary of the global pan-European aerospace and defense corporation European Aeronautic Defence and Space Company (EADS). It will be interesting to see if this is simply another power-point pitch by a company interested in outside funding or if maybe, just maybe, SSTL is using the lessons learned from two decades of low cost microsat manufacturing to begin lowering the cost of building useful, commercial satellites. 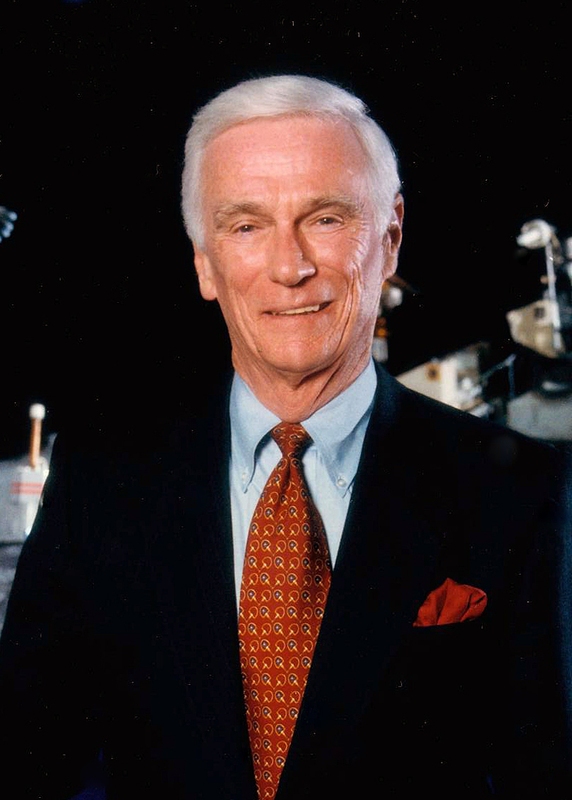 Retired NASA astronaut Gene Cernan. The 1st Canadian Aerospace Summit, organized by the Aerospace Industries Association of Canada (AIAC), will be held in Ottawa, ON from November 2nd - 3rd. This event focuses primarily on the "aero" component of the aerospace industry but is at least making the attempt to cater to the Canadian space systems industry with Canadian Space Agency President (CSA) Steve MacLean scheduled to moderate the "Space Leaders Panel" and ex-US astronaut Eugene A. Cernan ("the last man on the Moon" and a strong advocate of the cancelled NASA Constellation program) scheduled as keynote speaker for the gala dinner. Other speakers include Federal Minister of Industry Christian Paradis, Pratt & Whitney Canada President John Saabas, Bombardier Aerospace president and COO Guy Hachey, Airbus President of Procurement David Williams and Export Development Canada President & CEO Stephen Poloz. The core focus is on on opportunities to meet and interact with procurement executives and government representatives from Industry Canada’s Industrial & Regional Benefits (IRB) branch, Export Development and Foreign Affairs and International Trade (DFAIT). Maybe next year, once they've got a bit more confidence under their belt, the AIAC will feature a Canadian astronaut as their keynote speaker. The 3rd International, Interdisciplinary, Congress on Space Debris Remediation will be held in Montreal, PQ from November 11th - 12th. This event is organized by the McGill University Institute of Air and Space Law, the Cologne University Institute of Air and Space Law and the International Association for the Advancement of Space Safety. This widely respected legal event is co-sponsored by the Erin JC Arsenault Trust Fund and the United Nations Office for Outer Space Affairs. The Canadian Space Agency (CSA) will be holding a Canadian Workshop on Composite Structures and Materials for Space Applications in St-Hubert, PQ, from November 14th - 15th. The forum will include presentations on state-of-the-art composite structure technology from Canadian companies, the potential applications in aeronautics and astronautics plus possible uses for the technology in upcoming Canadian space missions. It's one of a series of events the CSA organizes throughout the year and a good introduction to what our space agency does and how private firms and researchers can contribute to space exploration. The 2011 Canadian Science Policy Conference (CSPC) will be held in Ottawa, ON from November 16th - 18th. It bills itself a "multidisciplinary, multi-sector national forum on science, technology and innovation policy in Canada," and has achieved international recognition in only three short years of existence. The focus is on science, politics and culture, enabling private sector innovation and the major issues confronting current Canadian science policy with speakers including Federal Minister of State for Science and Technology Gary Goodyear plus over 70 other experts on public, academic and private sector issues surrounding science and technology development in Canada. INNOVATION 2011, organized by the Alliance for Commercialization of Canadian Technologies (ACCT), an advocacy group focused on "the interface of academic research-industry engagement and research discovery mobilization" will be held in Montreal, PQ from November 20th - 22nd. This is a networking and professional development conference that "draws from the global community of technology transfer and industry engagement practitioners from academia, industry and government as well as venture investors and other managers of Canada’s intellectual assets." This might sound kind of dry, but the documents and presentations from the INNOVATION 2010 conference, are a useful compilation of best practices related to innovation projects, collaboration initiatives and the Canadian Innovation Collaboration Program which makes this years program worth attending. The higher proportion of venture capitalists at this conference are also useful for start-ups looking for funding. The 2011 Canadian Space Summit, focused on the challenges and opportunities surrounding the collection of "Big Data from Space and Earth" will be held in Calgary, Alberta from November 23rd – 25th. I'll be devoting a future post to this event so stay tuned. If your event is not on this list and you'd like it to be, please send an e-mail to mr.chuck.black@gmail.com describing the event and I'll include it in an upcoming blog post. The next listing of conferences, covering the December 2011 period, should be ready for publication in Space Conference News around the middle of November. 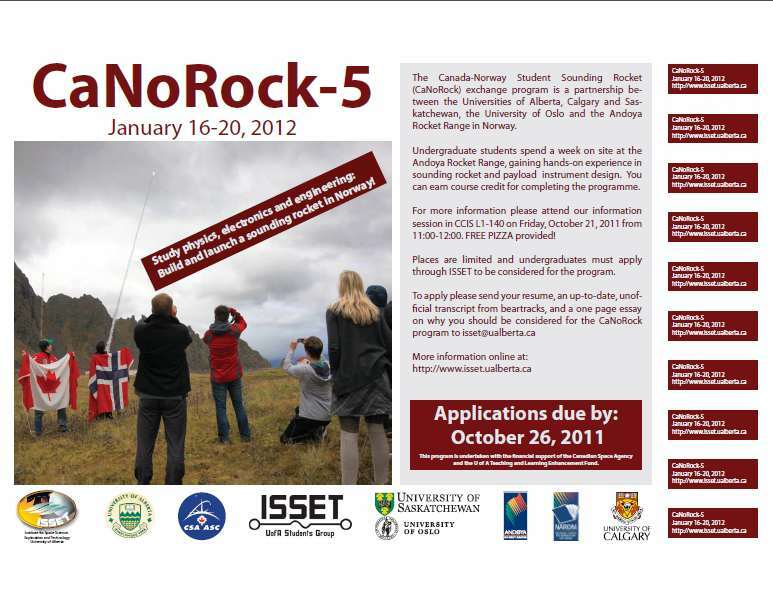 As the Canadian student participants of the fourth session of the Canada-Norway Student Rocket Programme (CaNoRock) slowly trickle back into Canada from their October 2nd - 7th field trip to the Andoya Rocket Range (Andoya) in Norway, CaNoRock organizers have issued a call for participation in the fifth session, scheduled for January 16th - 20th, 2012. The exchange program is a partnership between the University of Alberta, University of Calgary, the University of Saskatchewan, the University of Oslo and Andoya which provides undergraduate university students a week at Andoya gaining hands-on experience in sounding rocket and payload instrument design. Participants earn course credit for completing the program, which is funded through the Canadian Space Agency (CSA) and the University of Alberta Teaching and Learning Enhancement Fund. According to the October 7th, 2011 post on the Institute of Space Science, Exploration and Technology (ISSET) at the University of Alberta website titled "CaNoRock 5," the closing date for applications for the upcoming session is October 26th. Most countries in the western world strive to motivate young people to choose natural science and technical studies. A lack of highly educated employers can become a problem if the western countries intend to maintain a leading role in the technical development. The field of space research and space utilization is not an exception. Norway and Canada intend to be in the forefront, thus they have invested resources in a program to motivate young students to seek a career within the space research field – the CaNoRock program. The program also also includes background information and practical experience with other platforms such as Unmanned Aircraft Systems and Long Duration Balloons. Potential applicants are encouraged to check out the ISSET website for more information. 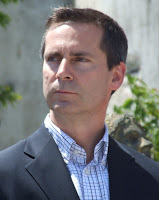 Campaigning liberal leader Dalton McGuinty. It's fascinating to compare the reality of the Canadian space systems industry with the Star Trek "fantasy" driving most space focused media coverage. The reality is best typified by the September 29th, 2011 Brampton Guardian article "Tax credit linked to jobs" and the follow-on article "Leaders hit Brampton, Again. Both articles focus on the upcoming Ontario provincial election (scheduled for October 6th) and several recent election stops made by incumbent Ontario Premier Dalton McGuinty to the MacDonald Dettwiler (MDA) Brampton facility. Neither article acknowledged the important role MDA plays within the Canadian space systems industry. Nor was there any mention of some of the contracts that MDA has undertaken for the Canadian Space Agency (CSA), its ambitious plans for a private on-orbit satellite servicing program in partnership with satellite services provider Intelsat (as outlined in my April 3rd, 2011 post "A Backgrounder for On-Orbit Satellite Servicing") or even of the jobs that these contracts create. Instead, the focus of both articles was on provincial liberal party proposals related to generic undefined jobs, generic job creation and the appropriate tax credits needed to ensure that more and more undefined and generic jobs continue to be created. This is the reality of the Canadian space systems industry. It's job creation (sometimes assisted by public money) just so long as no one mentions the specific type of job being created. Of course, the fantasy of our space future is always far more fun to contemplate and certainly the best example of that has been the recently concluded "100 Year Starship Study Public Symposium," which just finished up two days of public presentations at the Hilton Convention Center in Orlando, Florida. According to science fiction author David Brin, the focus of the symposium is to identify bottlenecks in future technologies which need to be addressed before interstellar travel can be seriously contemplated. Brin also suggests that private funding, supplied by a "new aristocracy" of billionaires such as Elon Musk (who is currently CEO/ CTO of Space Exploration Technologies), Jeff Bezos (who founded the human spaceflight startup company Blue Origin) and others will facilitate the vision outlined by the symposium. Which seems fair enough. Government money is drying up and some of "new aristocracy" are funding game changing new space activities now. But the media sees things differently. According to the NY1.com website article "100 Year Starship Symposium Considers Mankind's Next Step" it's simply a question of "whether humans will be traveling to the stars or even living on them in 100 years" which, of course, sounds far more fanciful. Living on the stars? That's even better than dancing with them! The article, in typical mass media fashion, then goes on to state that "Some may question why it’s worth spending money exploring space at a time when so many are out of work..."
As described in my July 25th, 2011 post " Metrics on The Canadian Commercial Space Sector Part 2: The "Three Kings" of Canadian Space Activities," the 140 companies and organizations listed in the Canadian Space Directory as being part of the Canadian commercial space sector are consistently growing faster than the economy as a whole and this growth is also reflected in the higher than average growth of the international space sector. Space activities create jobs and someone should mention this over and over again to our mass media representatives and our elected politicians until they get the point or are replaced by those who do. Then and only then, will we be in a position to really grow our Canadian space systems industry and it's international equivalents. It goes without question that the current status of the Canadian Space Agency (CSA) leaves much to be desired. Budget cuts are expected in the near future (just as soon as the 2009 stimulus funding winds down), no further CSA astronaut trips have yet been announced to follow-up on Chris Hadfields upcoming stint in 2013 to command the International Space Station (ISS) and more and more CSA project managers seem needed at CSA headquarters in order to supervise fewer and fewer funded space projects. Page 8 of the Thursday, August 31st, 1967 issue of the Vancouver Sun. It's hard to believe that, within the memory of many alive today, the CSA was thought to be the answer to the continuing advancement of Canadian space science, the key to the further development of the Canadian space industry and the core of the Canadian space strategy planning process. Unfortunately, that was then and this is now. These days, the focus of Canadian space activities seems to be on school trips (for example, the September 27th, 2011 CSA media advisory trumpeted Hadfields September 28th morning visit to JL Ilsley High School where he spoke with high school students along with his visit to the Halifax Discovery Centre where he spoke later in the day with grade 5-6 students) and entertainment events such as the 14th annual induction ceremony for Canada’s Walk of Fame (where Canadian astronaut Roberta Bondar was inducted, along with actress Sandra Oh, stand-up comedian Russell Peters, rock legend Burton Cummings, tennis star Daniel Nestor and author Mordecai Richler according to the October 2nd, 2011 Postmedia News article "Roberta Bondar Sandra Oh inducted into Walk of Fame"). Canadian actress Sandra Oh shares top billing with astronaut Roberta Bondar at the 14th annual induction ceremony for Canada’s Walk of Fame. Bondar wore pants. At least CSA president Steve MacLean was in Deippe, New Brunswick last week providing details of what he foresees as being Canada's space future, according to the September 23rd, 2011 New Brunswick Business Journal article "Satellite technology holds big potential: Space agency head." Unfortunately, these sorts of initiatives seem few and far between when compared to the ongoing opportunities for promoting "entertainment" and encouraging "education." The more typical CSA reactions to their declining fortunes seems mostly to revolve around issuing many requests for proposals (RFP's). The most recent RFP is for further study of the Polar Communication and Weather (PCW) satellite project, an already well studied (but until now, mostly unfunded) constellation of two satellites officially and optimistically scheduled for launch in 2017, according to the October 1st, 2011 Montreal Gazette article "Space agency eyes launch of two Arctic satellites." It is expected that this new study will be added to previous studies on the topic (such as the Department of National Defence (DND) September 2008 "Phase 0" study which "proved" that PCW "could provide broadband continuous 24/7 communications services throughout all of the Arctic and improve climate change monitoring and weather forecasting" according to the CSA webpage outlining the PCW mission and the July 2009 CSA contract to the Canadian industrial consortium led by BC based Macdonald Dettwiler (MDA) for a 12 month "Phase A Mission Analysis and Concept Definition study"). Total cost of the PCW project (including the studies) is expected to be $600 million CDN should the project ever receive enough money for something to actually get built. Of course, once upon a time, things were different. Planning and implementation of an over-all space program for Canada. Unfortunately for the Science Council, Canada had to wait another twenty years, but patient lobbying eventually paid off and in March 1989, the CSA was finally established by the Canadian Space Agency Act. And it's hard not to argue that Canadians have been well served by our space agency, at least up until recently. But it's also worth noting that the biggest recent Canadian successes in space (the Canadian astronaut corps, the Canadarm and the RADARSAT program) can each trace their gestation and early development back to the period long before the CSA's creation. Perhaps the current expertise of the CSA relates more to administration than it does to innovation which would be a shame since what Canada really needs right now is to know is where our future Canadarms, RADARSAT programs and astronaut explorations are going to come from. The CSA might need to spend some time thinking about this over the next little while, before the Ottawa budget cutting hatchet is released and the promise once imagined by the Science Council of Canada back in the 1960's is finally silenced.